Alex. . Wallpaper and background images in the Alexander Rybak club. 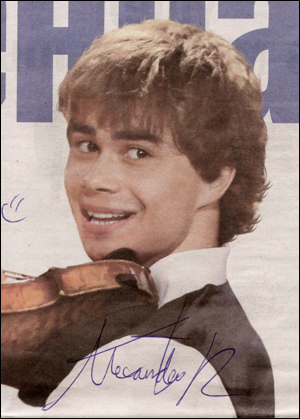 This Alexander Rybak photo might contain signe, affiche, texte, tableau noir, tableau, affiches, journal, papier, magazine, tabloïd, chiffon, and livre. If only I had his autograph.